All the numbers from the IPL Auction for the 2019 season. 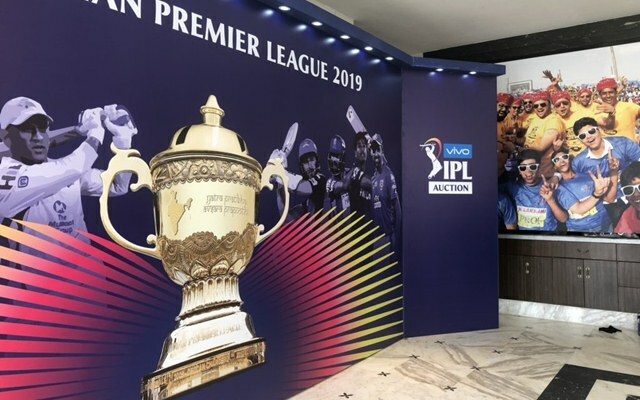 The Indian Premier League (IPL) auction for the 2019 season was held in Jaipur where as many as 60 players were brought by the eight franchises. The 8 sides sat to fill in the spaces ahead of the new edition in order to build their squad for next few years. The Kings XI Punjab, who had the highest space available in the squad, turned out to be the busiest team at the table on Tuesday. The Punjab franchise spent a total of 32.5 crore INR for buying 11 players which count for 30% of the total salary cap spent by all teams. 6 – Yuvraj Singh now has been bought at six IPL auctions and by a different team each and every time. He is the only player in IPL Auction history to be bought by six different teams. 8 – The left-arm pacer Jaydev Unadkat was bought at the IPL auction for the 8th time; the most number of times by any player. As many as three players earned a bid at auctions of six different IPL editions. Unadkat now has earned approximately 29.6 crore INR in IPL auctions which is only behind the earnings of Yuvraj Singh (48.1 cr INR) and Dinesh Karthik (38.9 cr INR). 8.4 – Varun Chakravarthy’s auction price (in crores INR) is the 3rd highest for an Indian bowler in the history of IPL auction. Krunal Pandya in 2018 and Pawan Negi in 2016 earned the highest bid of 8.8 crores and 8.5 crore INR. 42 – Ratio of Varun Chakravarthy’s base price (20 lakhs INR) and auction price (8.4 crore INR) is the best for any player in this season. This is the joint-second best ratio for any player in the history of IPL auction. Murugan Ashwin had a ratio of 45 (10 lakhs to 4.5 crores) while Deepak Hooda recorded a ratio of 42 (10 lakhs to 4.2 crores) when they were bought by RPS and SRH respectively in the 2016 edition. 60 – As many as 60 players were bought by the eight franchises for the 70 available slots. Of the 60 players, 20 are overseas players. Only ten of the remaining 40 players were capped India players. A total of 29.9 crores were spent on the 30 uncapped Indian players. 106.80 – A total of 106.8 crore INR has been spent at this IPL auction. This is the first time that the franchises have spent over 100 crore INR in an IPL auction outside mega auction (2008, 2011, 2014, 2016, 2018). The 2016 IPL auction wasn’t a mega auction but can’t be considered as a mini-auction either. It witnessed the two new teams – Rising Pune Supergiant and Gujarat Lions picking nearly 20 players at a go. Get the latest Cricket News and updates from IPL Auction, Match Predictions, Fantasy Cricket Tips and lots more on CricTracker.com.